"See you on deck, Senator!" 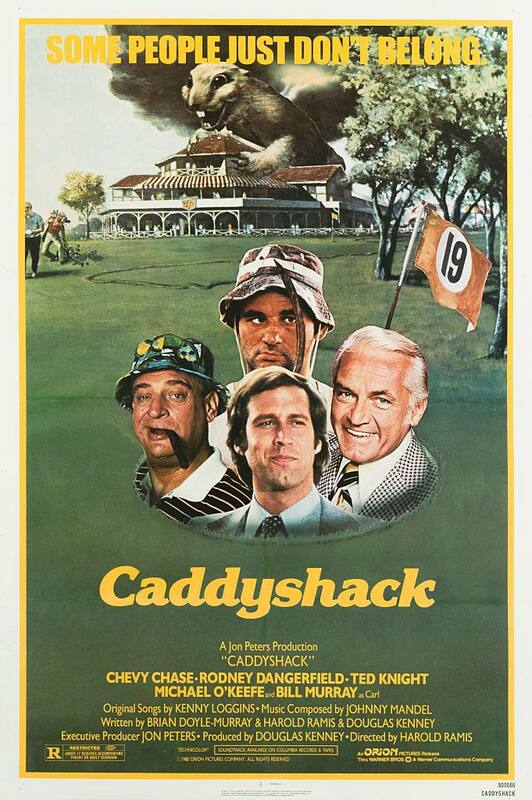 Although the classic screwball comedy "Caddyshack" came out in 1980, decades later it remains one of the most beloved sports movies in Hollywood history. 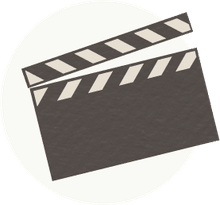 The premise of the film is simple: the peace and quiet of elite golf club Bushwood Country Club is disturbed when a loud, obnoxious new member (played to perfection by the late Rodney Dangerfield) joins the club. Meanwhile, a young caddy named Danny Noonan (Michael O'Keefe) attempts to raise money for college by winning the club's annual Caddy Day golf tournament, getting advice from wealthy n'er-do-well Ty Webb (Chevy Chase) along the way. While the movie was written by Harold Ramis, much of the dialogue was ad-libbed by the actors on the fly. Allowing hilarious actors like Dangerfield, Chase, Knight, and Bill Murray the freedom to make up dialogue as they went along resulted in one very funny movie. Here's a cheat sheet of the top "Caddyshack" quotes for you to slip into everyday conversations. In this scene, groundskeeper Carl Spackler (Bill Murray) discusses his first encounter with the Dalai Lama. 100% of this speech was improvised by Murray, and it's one of the most subtle "Caddyshack" quotes you can use to let others know you're a fan. Ty Webb (Chase) gives caddy Danny Noonan (O'Keefe) some existential advice. Another notable quote from this scene: "Don't be obsessed with your desires, Danny. The Zen philosopher, Basho, once wrote, 'A flute with no holes, is not a flute. A donut with no hole, is a Danish.'" "How Do You Measure Yourself Against Other Golfers?" Here the (clearly taller) Ty answers this question about scorekeeping with a succinct and hilarious slam: "By height." "You Buy a Hat Like This I'll Bet You Get a Free Bowl of Soup, Huh?" "Oh, it looks good on you, though," said Al Czervik (Dangerfield) to an angry, hat-wearing Judge Smails (Knight). Who among us hasn't put our foot in our mouth by saying something mean about a person standing right there? "You Know I've Often Thought of Becoming a Golf Club." After Danny waxes poetic about becoming a lawyer, hinting to Judge Smails that he needs help accomplishing that goal, a fellow caddy imitates him with this quick, funny line. The judge's nephew, Spaulding Smails (John F. Barmon Jr.), is a spoiled private school jerk. As he approaches the snack bar, he's running a list of things he wants to buy for lunch: "I want a hamburger. No, a cheeseburger. I want a hotdog. I want a milkshake...."
Judge Smail's curt reply is an instant classic! Ah, the famous dinner scene! In this short scene, Rodney flings zingers around the room like the true comedian he was. Fun fact: Rodney was the only cast member who refused to improvise. He needed to have all of his jokes scripted in advance in order to feel comfortable performing. "You Wanna Make 14 Dollars the Hard Way?" Dangerfield can't resist hitting on Judge Smails' shocked wife, and we can't stop laughing! One last one from the dinner scene. This is a quick joke tossed out by Dangerfield when he sees Spaulding stuffing his face at dinner. Hoi polloi is a term for the masses, or common people. When Danny shows up at the rich folks' garden party dressed in his finest country club couture, Spaulding can't resist getting in this dig. ​After the madcap yachting scene, Al Czerzik drops an anchor straight through Judge Smails' new yacht. Groundskeeper Carl seems to be doing more harm than good as he cuts the heads off flowers and daydreams about becoming a famous golfer. Judge Smails is trying to butter Danny up in this scene. This is a great line to use whenever you're in the position to offer someone a beverage. Guaranteed laughs from those "in the know!" “Don’t Sell Yourself Short, Judge." Ty always manages to put Judge Smails down in the most subtle but devastating ways. "My Enemy Is an Animal"
"...and in order to conquer him, I need to think like an animal, and if possible, to look like one." Another improvised Bill Murray moment, this one complete with hysterical facial expressions. Ouch! This is one of the most underhanded remarks every uttered on film! As Danny appeals to Judge Smails for a caddy scholarship to college, Smails tells him not everyone (read: not poor people) are meant to go to college. "We Have a Pool or a Pond." "Pond would be good for you." When Carl meets Ty and tries to fanagle an invite over to his house to swim, Ty suggests a dirty pond might suit the grubby groundskeeper better than his pool. This entire scene was improvised by Murray and Chase. One other memorable line: "Buddies for life, I'd say." The Bishop on a bender attempts to golf in the middle of a thunderstorm. He's having the best game of his life until he misses a put, at which point he screams "Oh, rat farts!" just before being struck down by lightning. Right before Danny makes the winning put, the judge utters this exasperated line. An instant classic, and perfect for everyday use! "...We're all gonna get laid!" Last but certainly not least, this is the last line of the movie, yelled exuberantly by Rodney Dangerfield. Was This Funny College Application Essay Worth It?